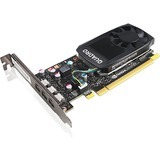 "ThinkStation Nvidia Quadro P600 Graphics card with LP bracket comes with low-proflie bracket, compatible with ThinkStation Slim form factor machines. It is powered by Nvidia Pascal Grpahics Processing Unit(GPU) technology and 2GB of GDDR5 memory. It is targeted for professional CAD, DCC and visualization designers, engineers and users. 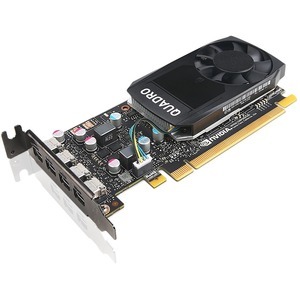 The ThinkStation Nvidia Quadro P600 Graphics card with LP Bracket delivers amazing creative experience across a variety of professional 3D applications. "